PSI wants to reimagine healthcare, to put the consumer at the center, and wherever possible — bring care to the front door. To reimagine healthcare, we’ll help fix market failures, shape future health markets and shift policy and funding to better support consumer empowered healthcare. In order to achieve this vision, we will leverage our best marketing acumen – building strong market understanding and deep consumer insights to inform the design of effective marketing solutions that will shape health markets and drive healthy behaviors. PSI is seeking a consultant to support the Global Marketing team during the maternity leave of the Deputy Director. This consultant will be responsible for the oversight of key marketing initiatives and the provision of marketing technical support as needed. The scope of this consultancy is expected to cover 2 days per week for a period of 26 weeks from March – August 2019. Provide technical oversight and direct line management for key marketing initiatives, ensuring they move forward on timelines and to a high quality of delivery. Proven experience in leveraging marketing approaches for program design in non-profit organizations. A passion for people development and team management. Strong communication skills – both written and verbal. English is a must, French or Spanish is a bonus. Ideally based in Washington DC, or ability to travel to the HQ office regularly. PSI makes it easier for people in the developing world to lead healthier lives and plan families they desire by marketing affordable products and services. PSI's global health network of more than 50 local organizations focuses on serious challenges like a lack of family planning, HIV and AIDS, barriers to maternal health, and the greatest threats to children under five, including malaria, diarrhea, pneumonia and malnutrition. 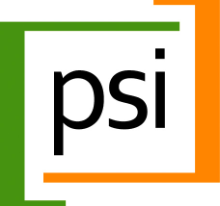 A hallmark of PSI is a commitment to the principle that health services and products are most effective when they are accompanied by robust communications and distribution efforts that help ensure wide acceptance and proper use. PSI works in partnership with local governments, ministries of health and local organizations to create health solutions that are built to last.